Meanwhile, home builders are increasingly deploying resources to meet entry-level price points, according to a recent analysis by Moody’s Investors Service. For some large builders, like D.R. Horton, the entry-level affordable product represents nearly half of all recent sales. To be sure, the vast majority of single-family homes are built for purchase, not rent, but that share is trending up. To read article on Realtor.com, click here. WASHINGTON (AP) — Purchasing a home just became a lot cheaper, thanks mostly to the Federal Reserve’s decision last week to put its interest rate hikes on hold for now. Sales of existing homes surged 11.8 percent in January, a sign that lower rates were encouraging more people to buy homes. The average 30-year rate reached 4.95 percent in November, following a series of rate hikes by the Fed. Read original article on windermereeastside.com. f the dramatic slowdown in Seattle’s housing market has you waiting for a crash to buy your next home, don’t hold your breath. New housing data indicates the so-called Emerald City is already pulling out of a monthslong slump, during which the median luxury home price fell 13% in six months, sales plummeted and some predicted doomsday scenarios where skilled workers would flee Seattle, birthplace of Microsoft and Amazon, for budding tech hubs in the South and East Coast. But in January and February, Seattle-based agents reported bustling open houses and an earlier-than-usual start to the spring buying season. So if you’re looking to take advantage of the city’s softened market conditions—it’s now or never. More: How Much Will Property Taxes Fall in Washington State in 2019? A thriving technology industry has fueled the housing market in Seattle over the past eight years, with Amazon alone adding roughly 40,000 new jobs in that time. The median home price soared 138% since the post-recession trough in 2013, and the city enjoyed significant population growth as highly skilled, well-paid workers ditched Silicon Valley and San Francisco in favor of Seattle’s relative affordability. Home price has climbed each year by double digits, faster than almost anywhere else in the U.S., which made the sudden jolt to the market last summer all the more jarring. By the fourth quarter of 2018, the median luxury sales price was $2.23 million, down 13% from its May peak of $2.562 million and sales dropped more than 20%, according to data provided by real estate site Redfin, which defines luxury as the top 5% of sales. Seattle wasn’t alone. Many U.S. cities experienced slowing sales and waning price growth in the second half of 2018, as affordability, the uncertainty of midterm elections and rising interest rates put off buyers. Seattle suffered the added uncertainty of HQ2, Amazon’s national search for a second headquarters, which some feared would draw talent and jobs away from the retail giant’s base. On top of that, volatility in tech stocks, including Amazon, broke years of record growth, bruising compensation last year for high earners in the Seattle area. Last year, the technology-heavy Nasdaq 100 index plunged 23% from an all-time high in August to its lowest point of the year on Christmas Eve. Tech stocks have since picked back up, though not to the levels they were trading at last summer. At one point, Redfin reported that search traffic showed more house hunters looking to move out of Seattle than into it—sparking speculation that area residents were already abandoning the city. All of that, it appears now, was wildly overblown. It’s likely the median sales price will continue to decline in the coming months. But that’s more a reflection of last year’s fracas rather than a real-time lens into market conditions because closing data has a time lag. Instead, buyers and sellers should look at the recent boost in pending sales, a timelier measure. In the city of Seattle, there were 762 homes that went into contract in January, a near-30% increase compared to a year ago, according to data from the Northwest Multiple Listing Service. The pricey Eastside, which includes Bellevue, across Lake Washington from Seattle, has also seen a bump in activity. Pending sales there increased 10% in January compared to a year ago. 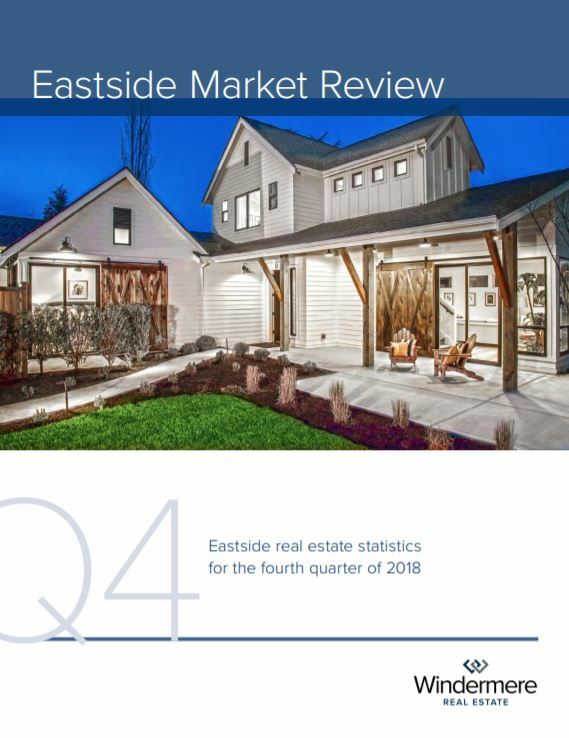 Grant Burton, a Seattle-based real estate agent who works in upmarket neighborhoods including Capitol Hill, Madison Park and Denny-Blaine, said he’s had an exceptional start to the year, particularly for the $2 million to $4 million market. “It was like night and day, the ball dropped on New Year’s and I had a flood of people coming to buy, coming to look at homes,” Mr. Burton said. Inventory in the city has more than doubled since this time last year, building up during the slowdown in 2018 and giving buyers more options. Meanwhile, a recent decline in 30-year mortgage rates has also boosted confidence and purchase power. “We’ve had an early spring that I am blown away by,” Mr. Burton said. Savvy house hunters are starting their search before the high season—traditionally from May to September—when an annual horde of buyers crowd the market. At the moment, buyers are competing with two or three other bidders on homes rather than a dozen other people, brokers said. David Palmer, a Seattle agent affiliated with Redfin, also said he’s seen an uptick in activity since the start of the year.